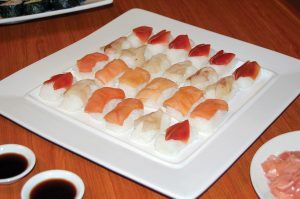 There was much speculation following the Feb. 21 announcement that the newly-created Five Nations Clam Company would be receiving the new, lucrative license for Arctic surf clams form the Department of Fisheries and Oceans. At the time, it was announced that the Five Nations Clam Company would be comprised of First Nations from Quebec, Nova Scotia, Newfoundland and Labrador, Prince Edward Island and New Brunswick and will partner with Cape Breton-based Premium Seafoods to harvest, process and market the catch. However, the list of First Nations partners was not released. It was not until March 8 that Chief Aaron Sock of Elsipogtog First Nation in New Brunswick, who represents the Five Nations Clam Company, announced the names of the four other partners: Abegweit First Nation in Prince Edward Island, Potlotek First Nation in Nova Scotia, the Innu First Nation of Nutashkuan in Quebec and the Southern Inuit of NunatuKavut in Labrador. The Canadian Sealers Association (CSA) recently told the Canadian Press that an expanded seal hunt should be encouraged to help protect vulnerable fish stocks — possibly even a cull. According to the Department of Fisheries and Oceans, the regional harp seal population is estimated at about 7.4 million animals and grey seal numbers in the Gulf of St. Lawrence have grown from about 5,000 animals in 1960 to an estimated 98,000 in 2014, according to the department. The commercial seal hunt is currently underway on the East Coast. The Nova Scotia government said its approach to regulating the aquaculture industry will improve with amendments to the Fisheries and Coastal Resources Act introduced March 9.
clarifying the process around the 30-day appeal period for Aquaculture Review Board decisions. The changes will help ensure the industry is managed effectively and responsibly. “Industry believes the move to allow consolidation of adjacent leases will provide efficiencies for farm management practices and reduce red tape for small business,” said Tom Smith, executive director, Aquaculture Association of Nova Scotia. 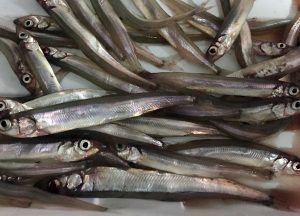 The Department of Fisheries and Oceans recently announced that the capelin stock has decreased about 70 per cent since the last survey, done in 2015. DFO says that drop could be due to the recent late spawning of the important, small, silvery fish. Scientists blame late spawning for the population drop. DFO scientist Fran Mowbray told the media at a recent technical briefing that the decline in capelin is linked to environmental factors and not because of commercial fishing activity. She said the capelin are only caught a few weeks before they spawn and die so it doesn’t have a large effect on the availability of food for other species. As a result of the results, DFO said the capelin stock assessment will now happen every year instead of every two years. Due to the declining numbers, the NunatuKavut Community Council in Labrador has asked DFO to close the commercial capelin fishery on the east coast. 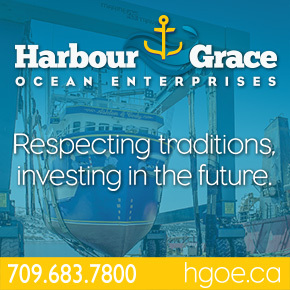 The Hampidjan Group recently announced that it has concluded the acquisition of Canadian fishing gear supplier North Atlantic Marine Services & Supply (NAMSS). The deal was made by Hampidjan’s Canadian subsidiary Hampidjan Canada and it significantly strengthens the company’s position on the Canadian east coast. According to Hampidjan CEO Hjörtur Erlendsson, the purchase includes the three NAMSS net lofts. 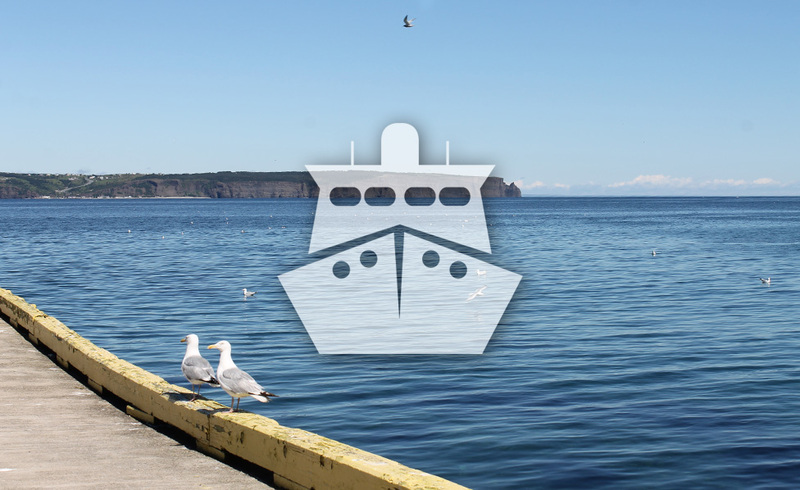 The furthest south of these is in Dartmouth, near Halifax in Nova Scotia, another is in St. John’s in Newfoundland and the third is in Port aux Choix in northern Newfoundland, which also provides services to fishing companies in Labrador. The net lofts’ activities are primarily making fishing gear, repairs and chandlery sales. “This acquisition strengthens our position on an important market. Hampidjan Canada already has a net loft at Spaniard’s Bay in Newfoundland. With the acquisition of Faroese fishing gear supplier Vónin, Vónin Canada also became part of the group, along with its net loft in Newfoundland,” Hjörtur Erlendsson said. Hampidjan Canada’s managing director David Kelly said that previously the Spaniard’s Bay net loft with its staff of eight had supplied fishing companies in Newfoundland and Labrador. The acquisition adds 15 staff at the Dartmouth, St. John’s and Port aux Choix locations. “We produce crab traps, a variety of demersal trawls, scientific and research gear, and pelagic trawls. In addition, we supply trawl doors, other fishing gear hardware, and general chandlery goods. All the services we provide for the fishing fleet, such as fishing gear repairs, are a prominent part of our business,” Kelly said. As of February 21, 2018, the Nunavut Offshore Allocation Holders Association (NOAHA) has officially changed its name to the Nunavut Fisheries Association (NFA). This move has been made to better reflect the current and future activities of the Association. NFA is actively pursuing several issues that will increase the socio-economic benefits of commercial fisheries to Nunavut, including increasing Nunavut’s share of allocations in its adjacent waters, funding for Inuit fishing organizations, increased development of community-based inshore fishing activity and continued improvement to marine training programs and marine scientific research in Nunavut. The inshore fishery in Pangnirtung, where the local fish plant processes both turbot and Arctic char harvested locally by members of the community provides an example of the potential for inshore fisheries development. “Each winter we have over 100 harvesters and their helpers going out on the ice to harvest turbot in Cumberland Sound from our 500-tonne inshore quota. The benefits this and the winter and summer char fisheries provide through the employment of harvesters and processing personnel in the plant are enormous for our community”, stated Sakiasie Sowdlooapik, a Director of NFA representing PFL/CSFL. The Northern Osprey III, the Labrador Fishermen’s Union Shrimp Company Ltd’s (LFUSC) new shrimp trawler is already busy at sea. The vessel, built in 2017, is currently fishing shrimp off the shores of Labrador in shrimp fishing area 5. The vessel belongs to MV Osprey Ltd., a company in which the LFUSC has a 50 per cent share. It is replacing the Northern Eagle in MV Osprey’s fleet. The Northern Eagle, built 1996, has been sold. The Northern Osprey III was built at the Tersan shipyard in Turkey. It has a length of 80.25 metres and a beam of 17 metres and was designed for the challenging ice conditions off Newfoundland and Labrador. The LFUSC is based in Labrador, where it operates five processing plants and is locally owned by fishers from L’Anse au Clair to Cartwright. Karl Senner, LLC recently announced that RAD-Power is its new manufacturer’s representative for the eastern and central region of Canada, including the provinces of Newfoundland and Labrador, Nova Scotia, Prince Edward Island, New Brunswick, Quebec, Ontario and Manitoba. RAD-Power, based in Beaconsfield, Quebec Canada, was established in March 2009. Ragnar Radtke, the owner, was Deutz’ American marine engine program manager for 30 years and began RAD-Power soon after Deutz exited the marine engine market initially to support former Deutz engine clients in the USA, Canada and Central America. RAD-Power will become the representative for Karl Senner, LLC’s product lines including REINTJES Marine Gearboxes and Steerprop Azimuth Drives. Mark Browne, MHA for Placentia West, is worried about Kiewit’s rejection of an offer of sale from St. John’s-based Newdock to purchase the Marystown Shipyard. Such a deal could have produced hundreds of stable, year-round jobs, he said in a press release. “I am extremely disappointed by news that Kiewit, for the third time in 18 months, has chosen not to execute a deal for purchase of the Marystown Shipyard. Area residents were hoping for a deal to finally get the shipyard back up and running. The most recent interested buyer possesses a shipbuilding and fabrication background, making the sale an ideal fit; I cannot understand why Kiewit refused to make this sale,” said Browne. No Replies to "On the Waterfront - May 2018"